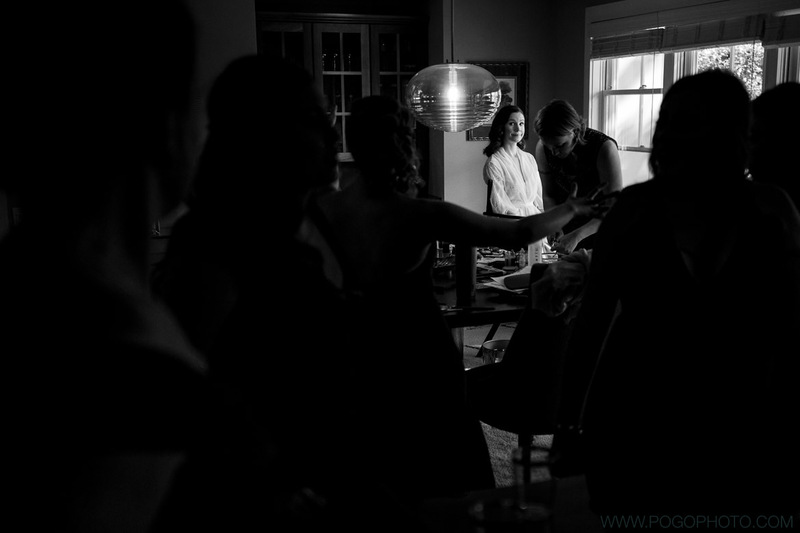 It’s amazing to see a meticulous plan come together! 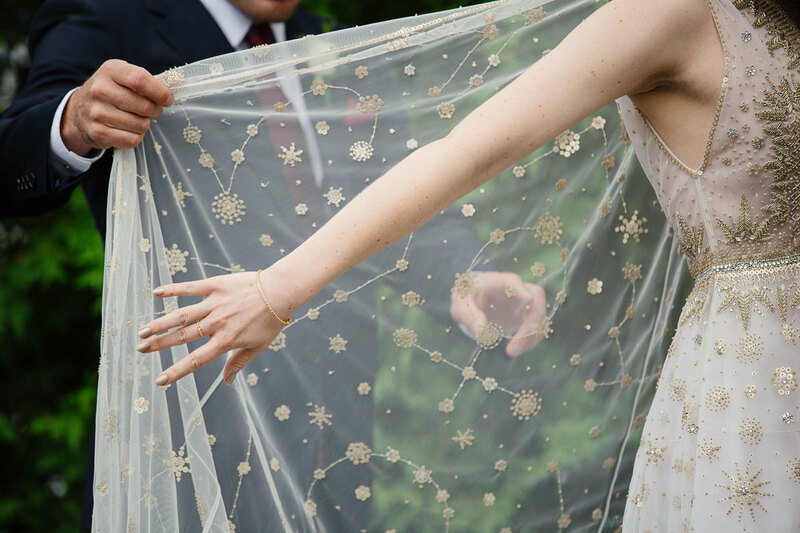 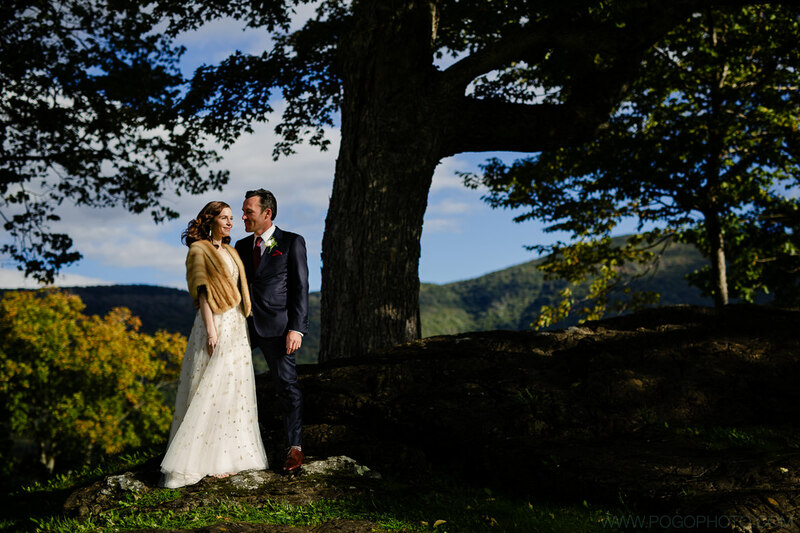 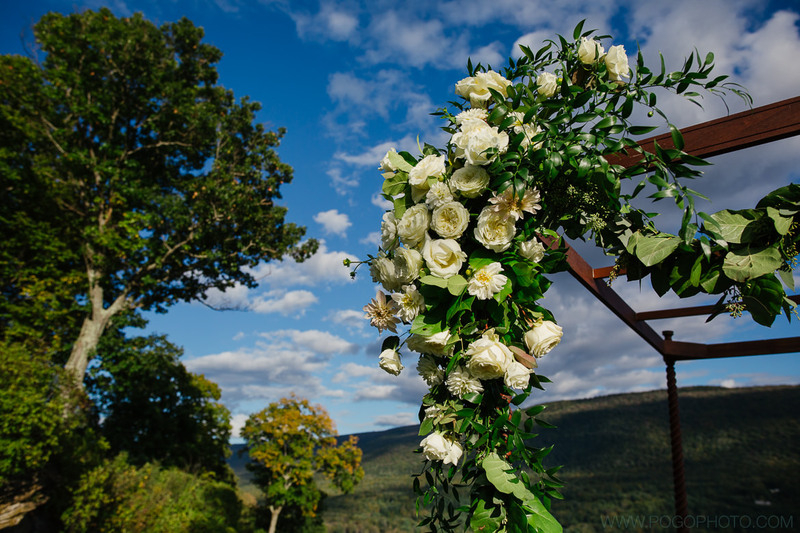 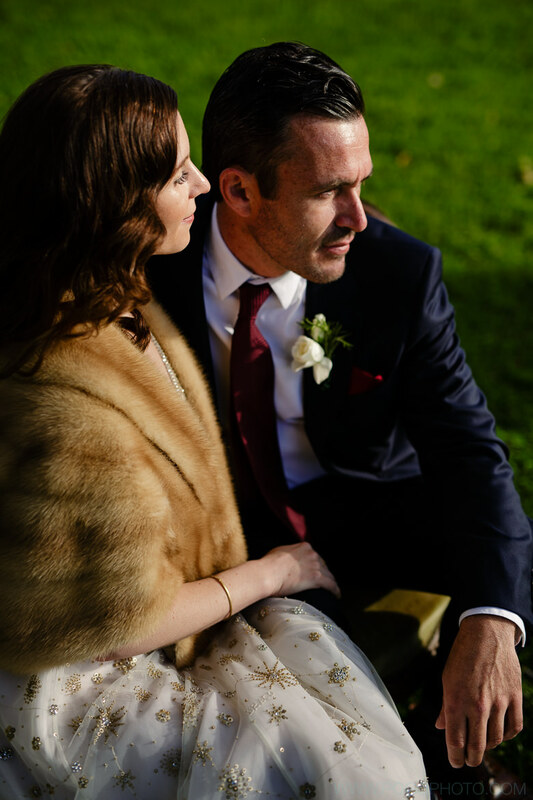 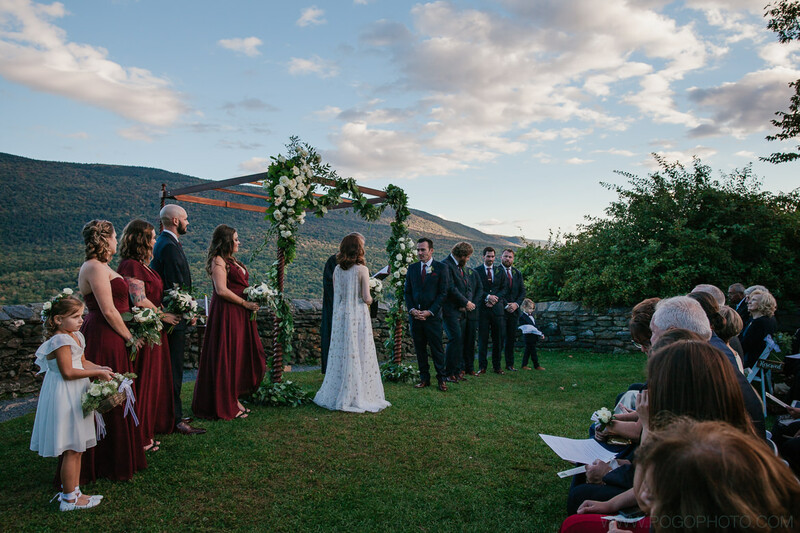 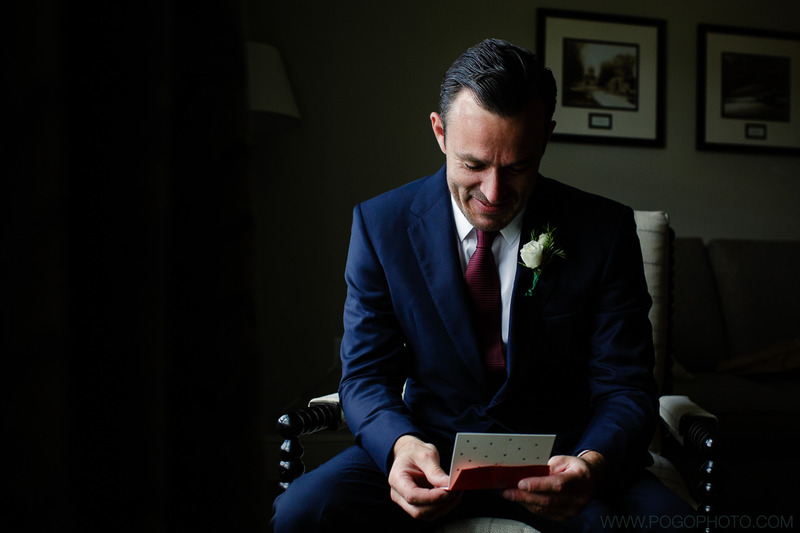 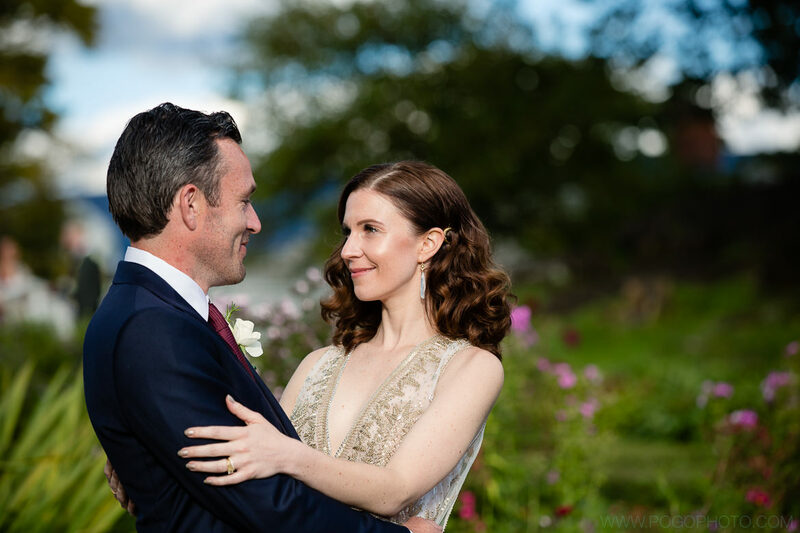 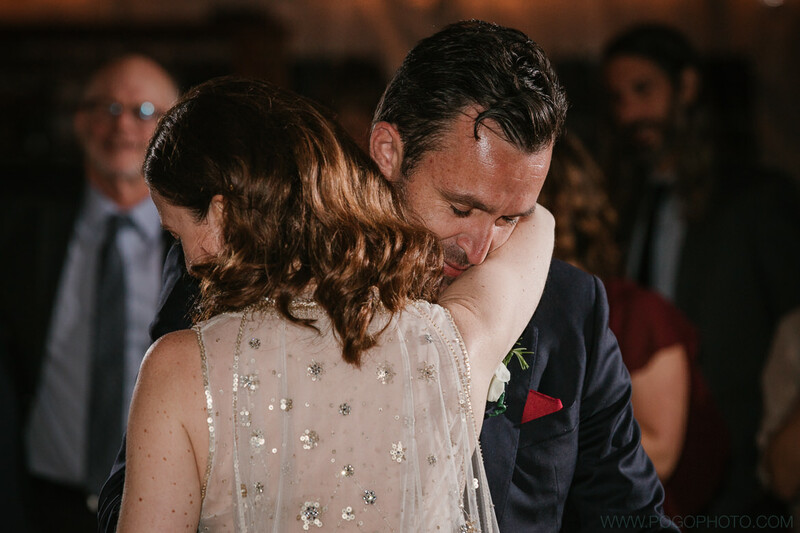 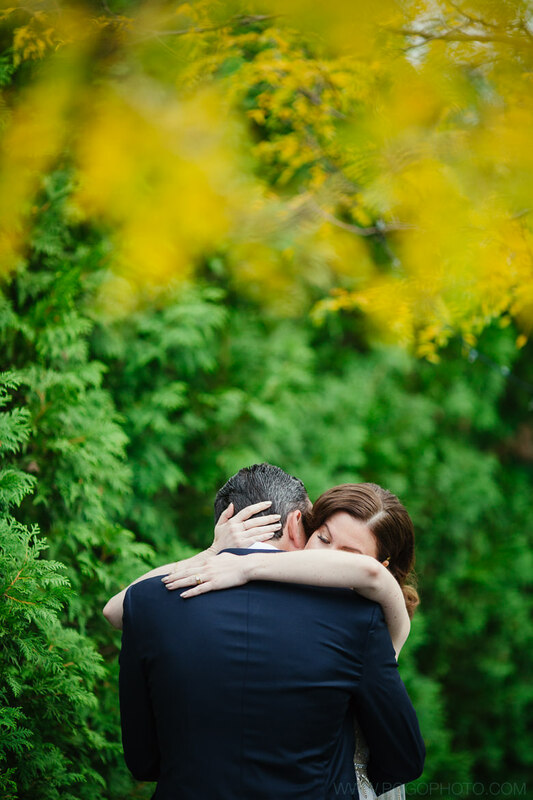 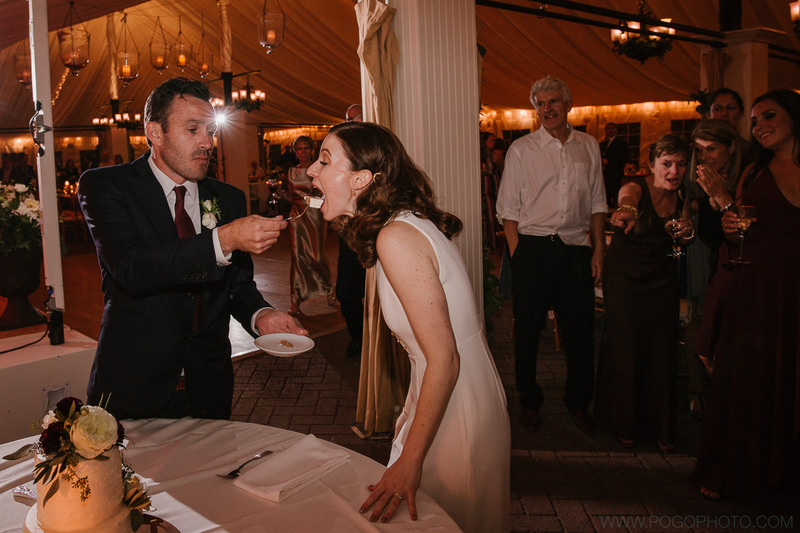 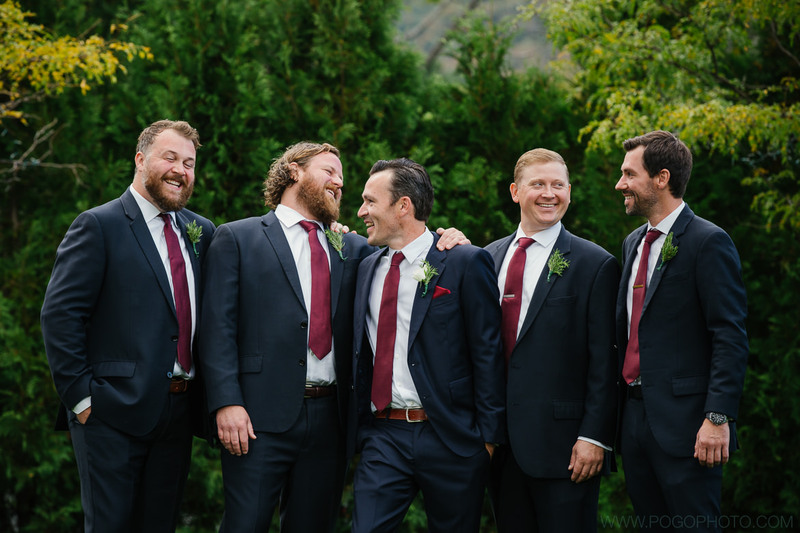 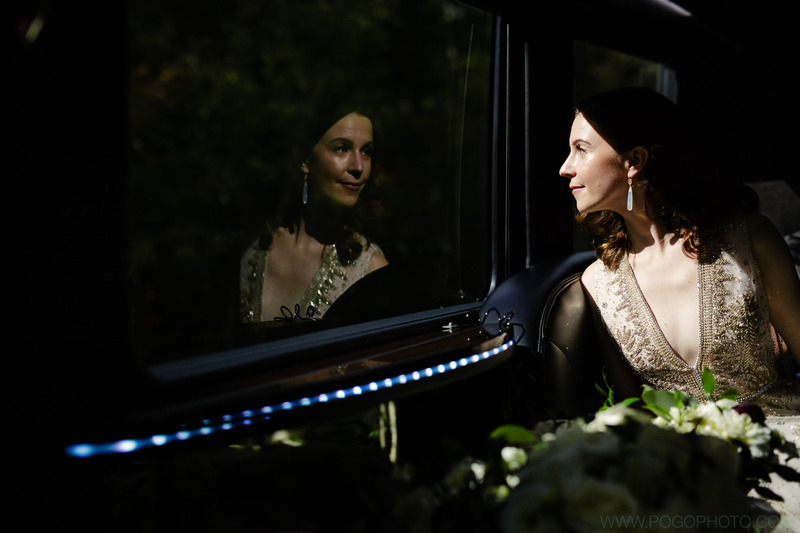 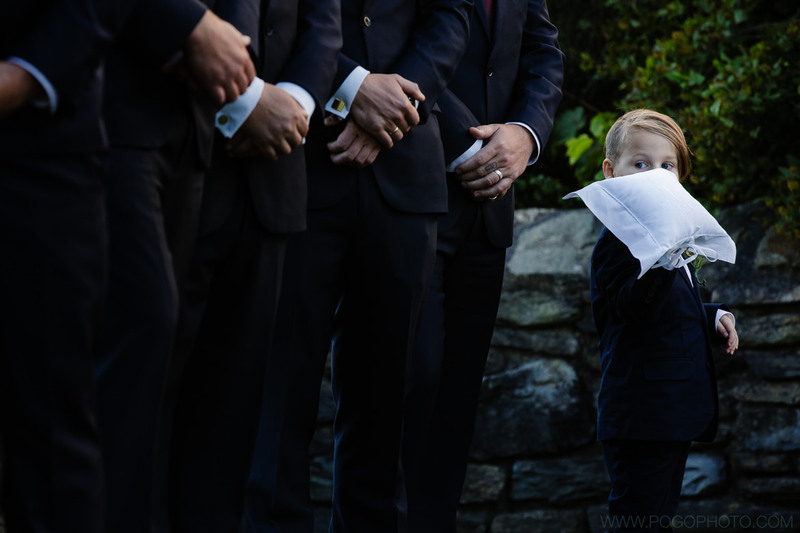 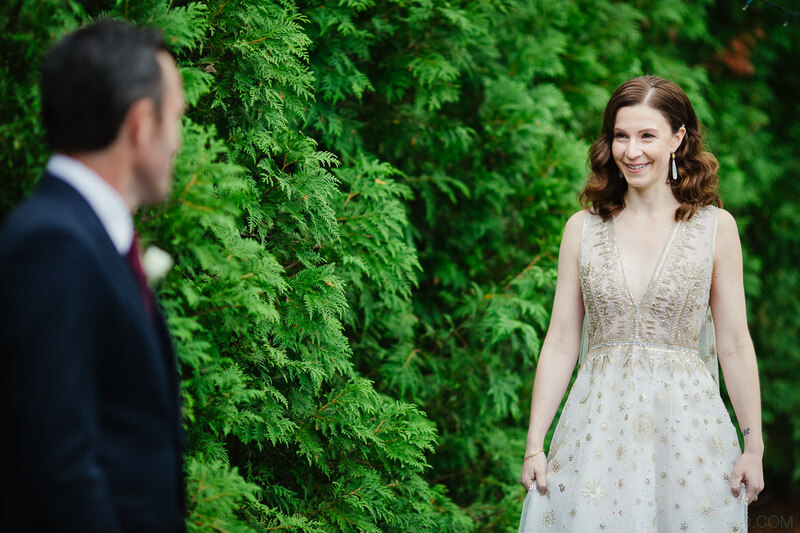 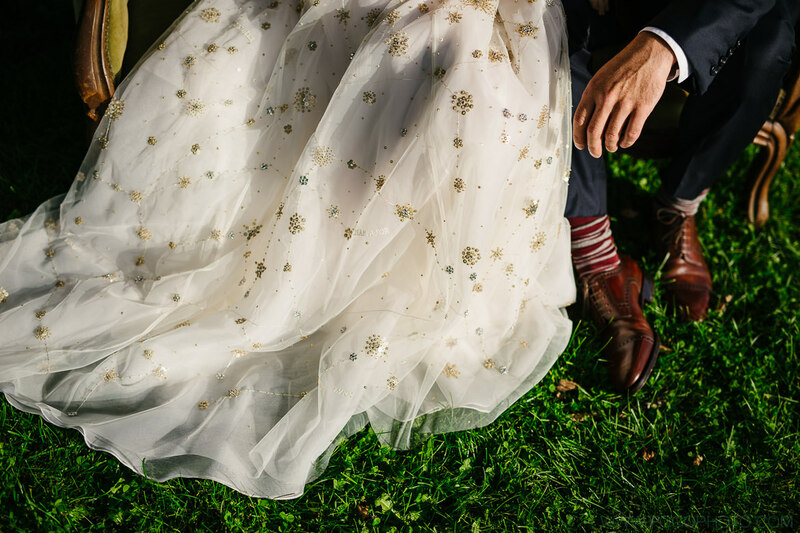 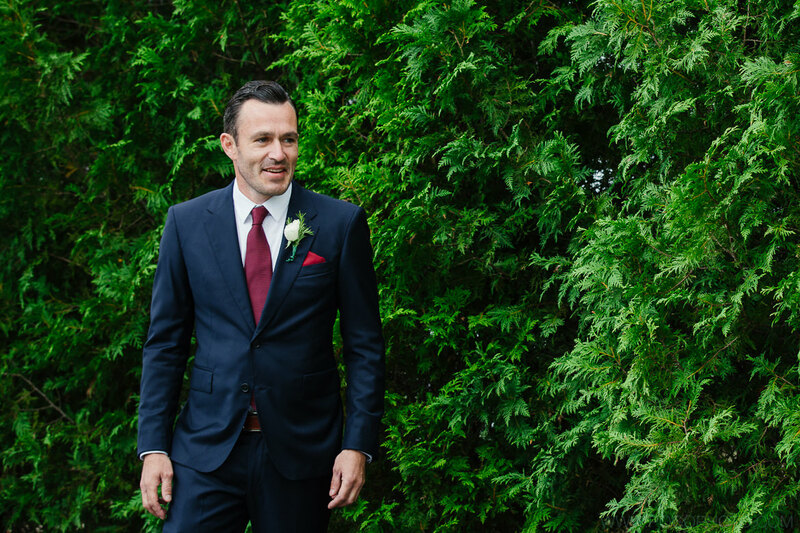 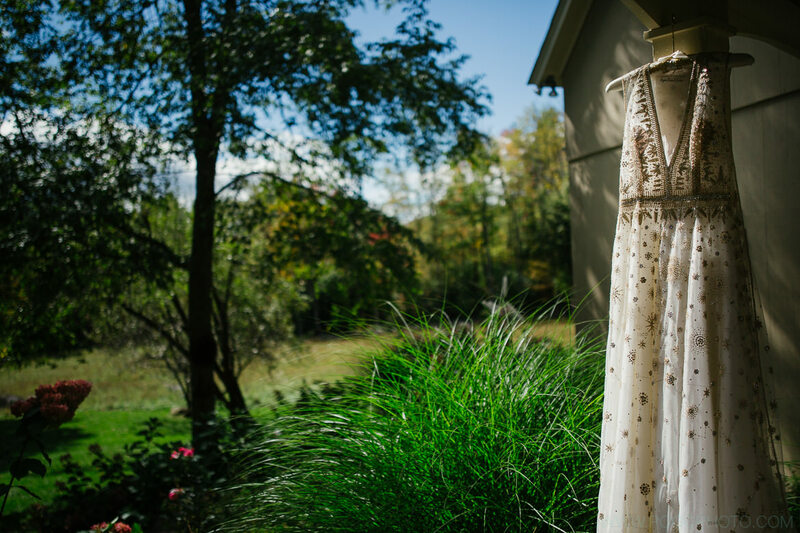 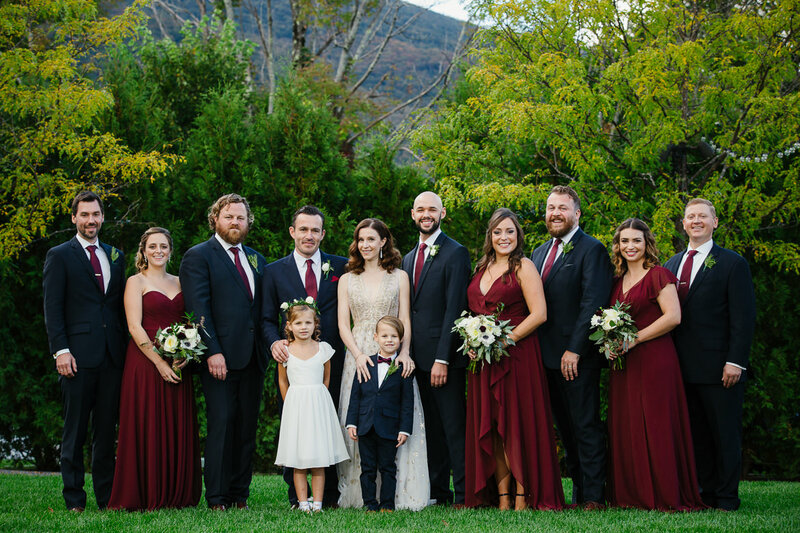 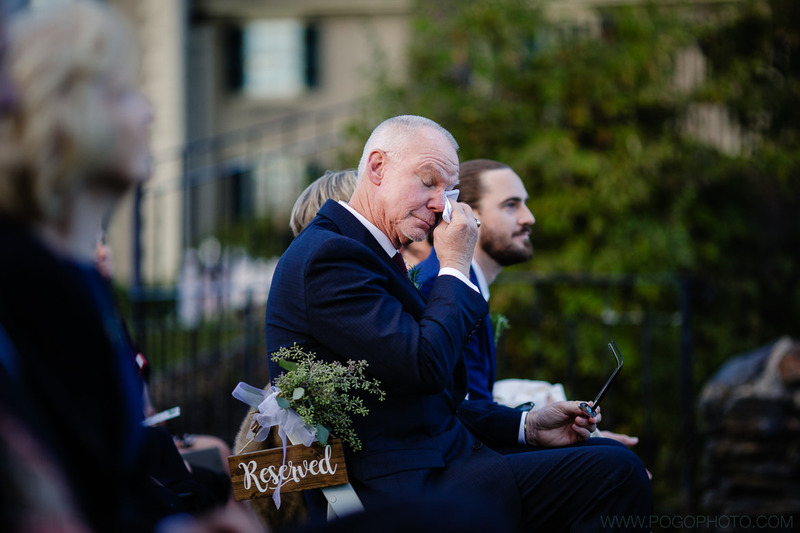 Megan + Erik’s Vermont wedding unfolded seamlessly on a picture-perfect fall day. 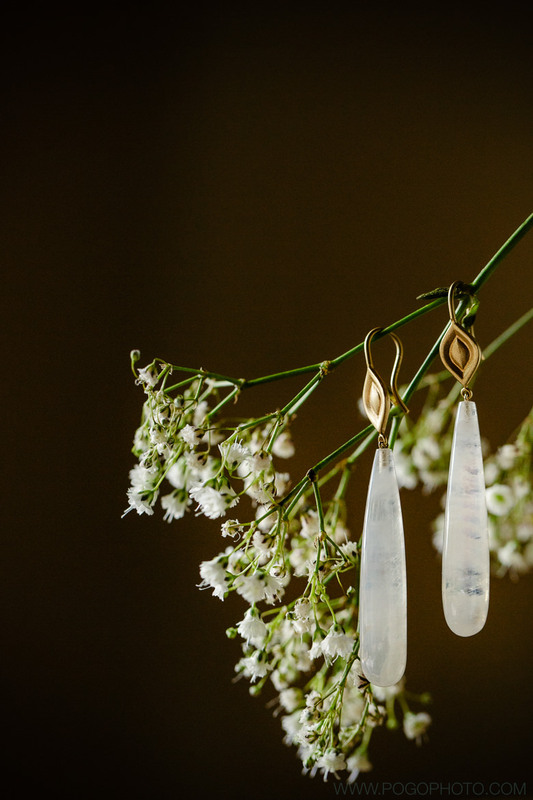 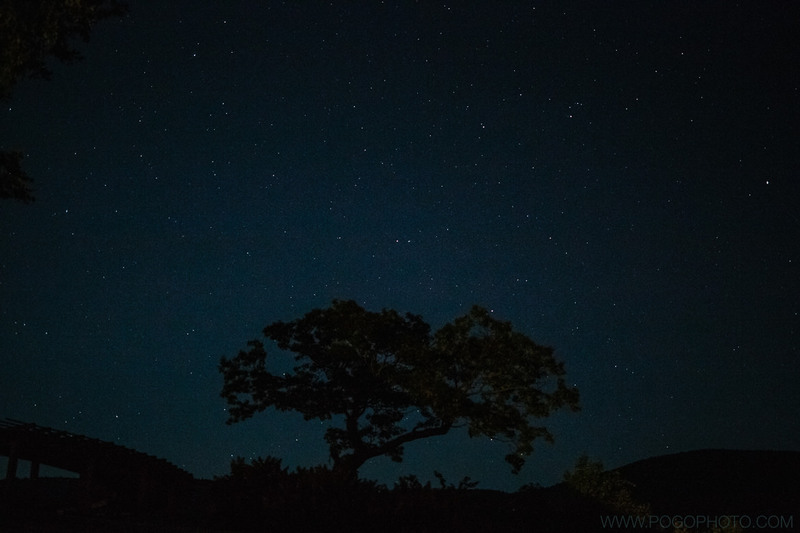 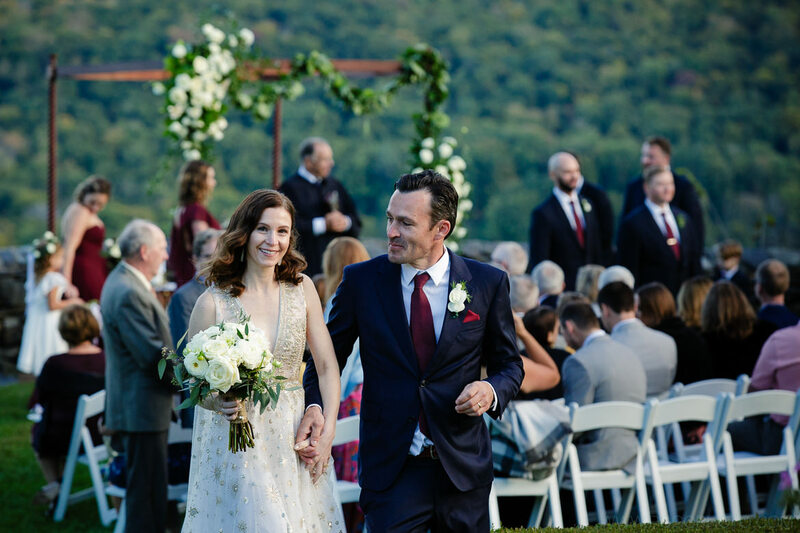 While many of our clients escape the confines of New York City in favor of the Green Mountain State for their celebration weekend, these two have their own retreat nestled in the nearby hills. 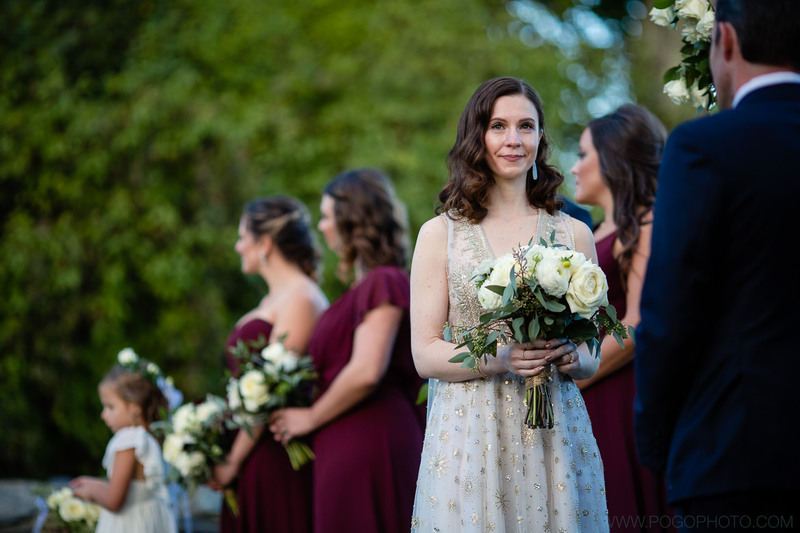 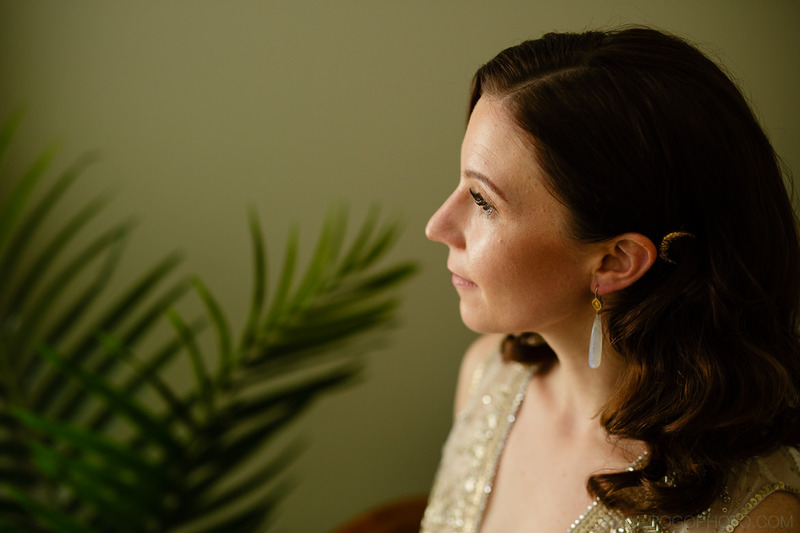 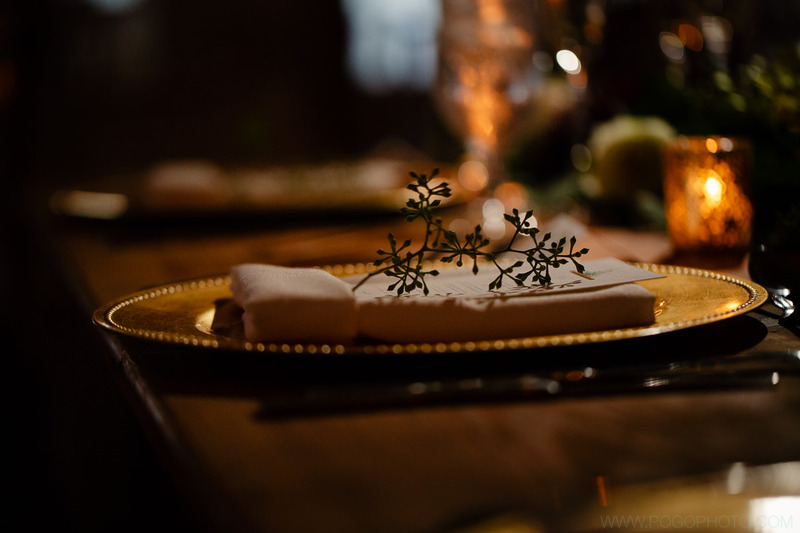 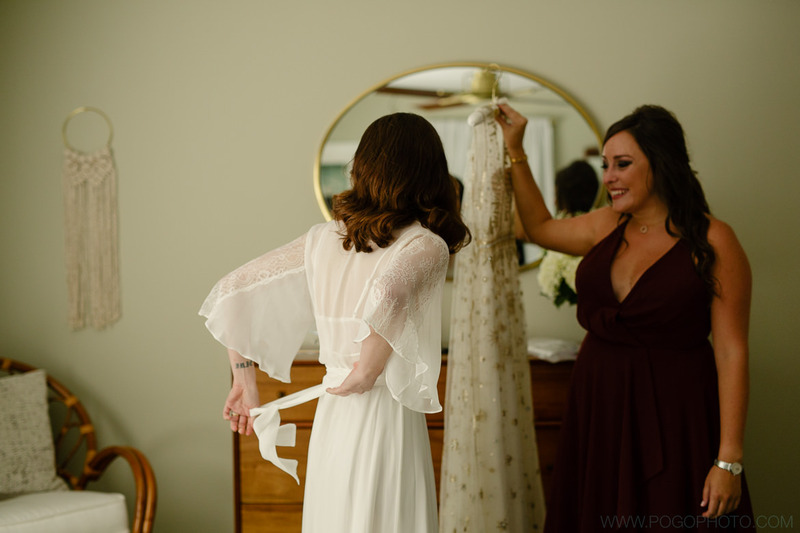 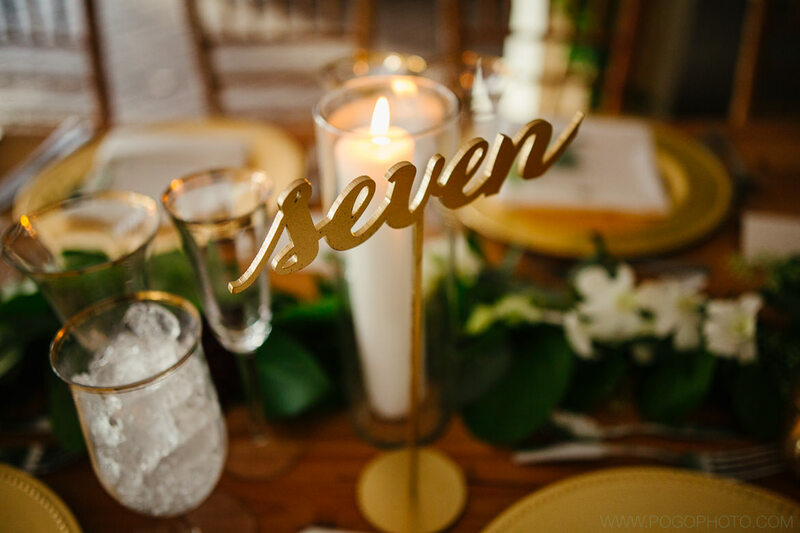 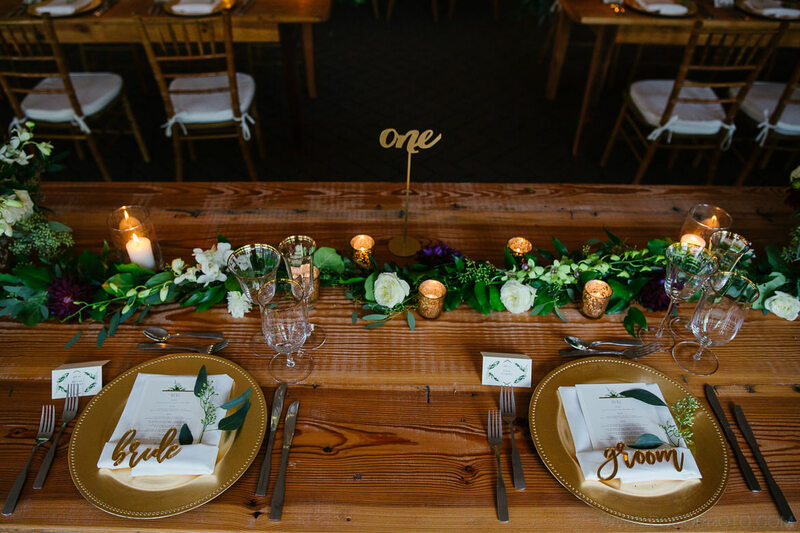 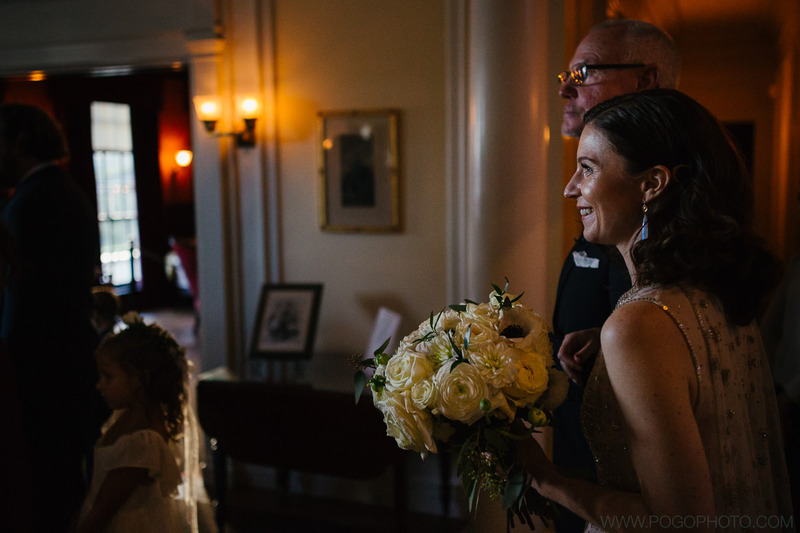 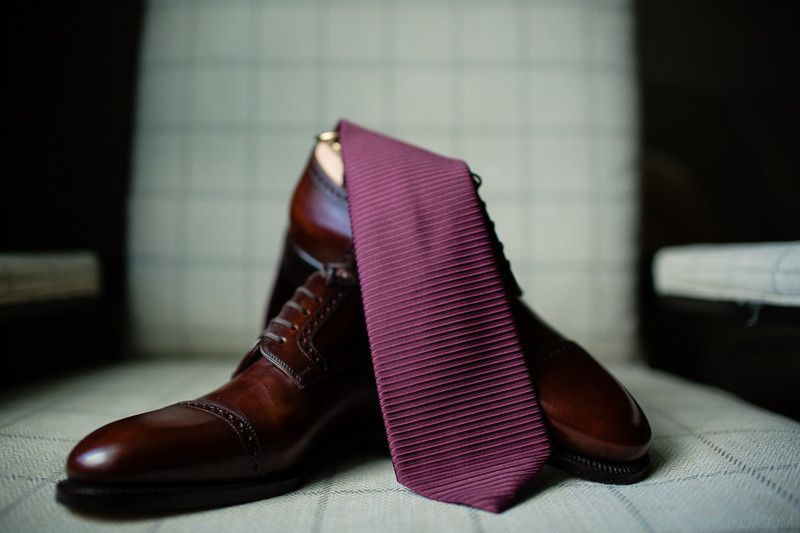 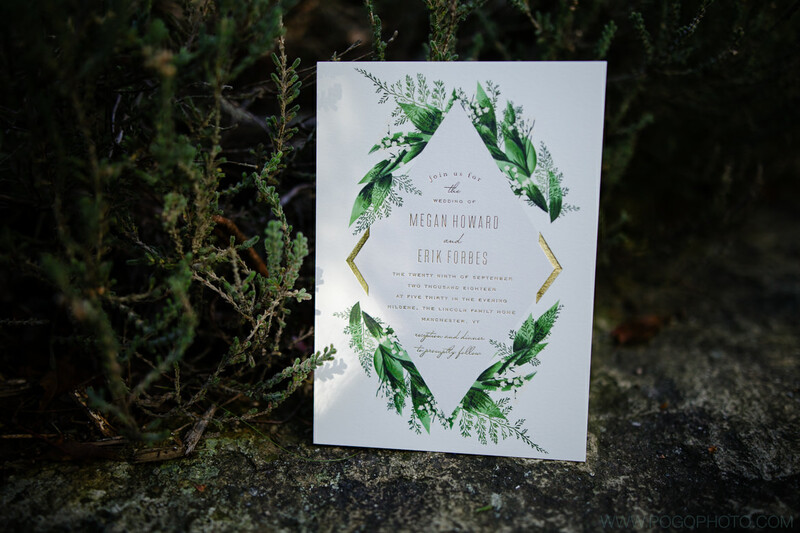 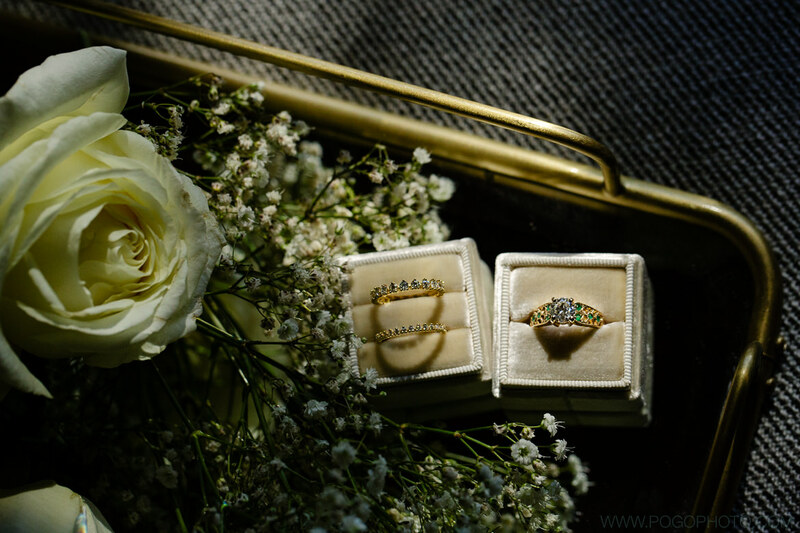 This allowed Megan to get ready at their home with friends and family, setting the tone for a day that showcased beautiful locations and a myriad of personal details. 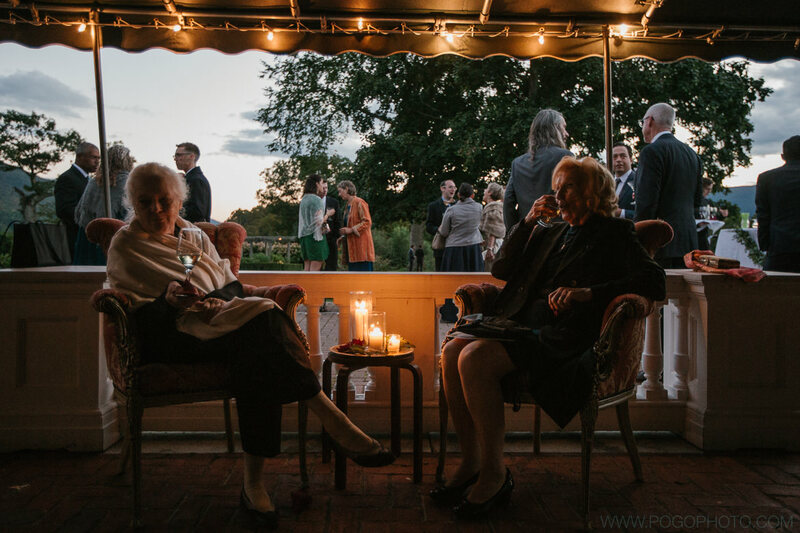 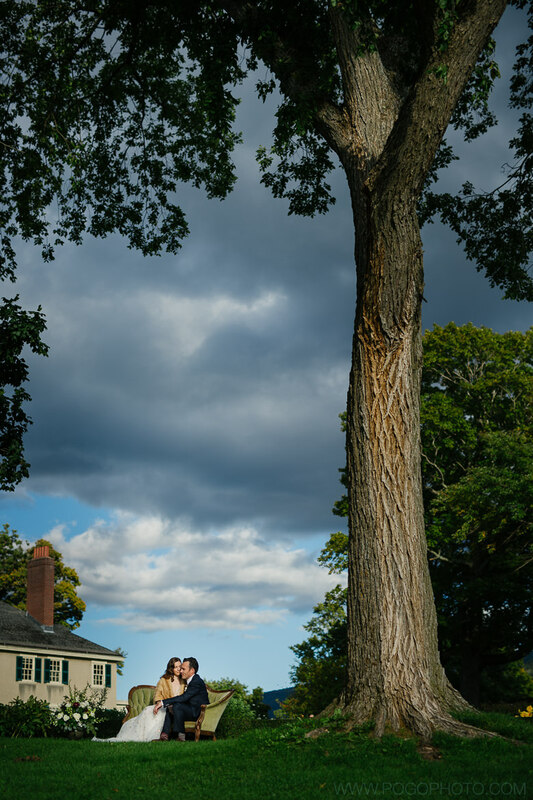 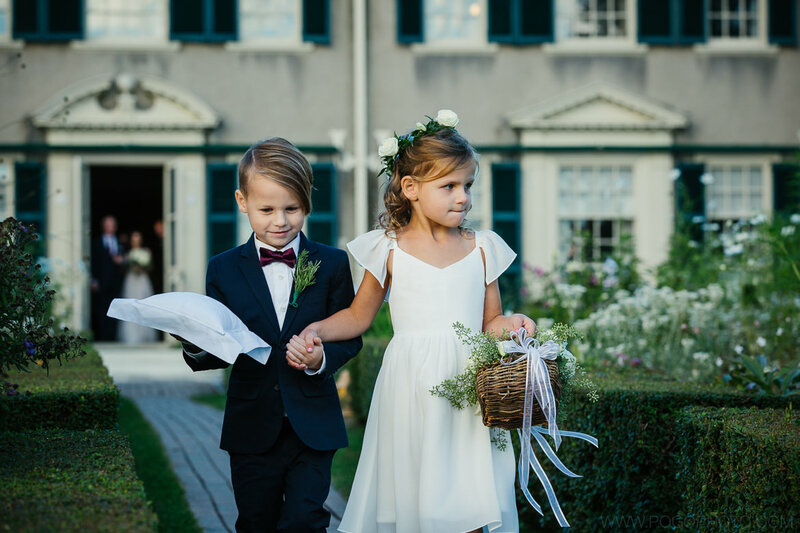 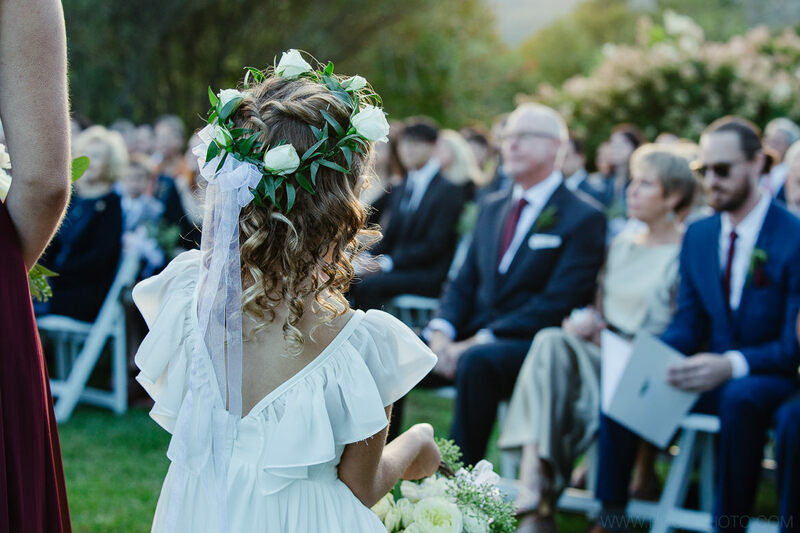 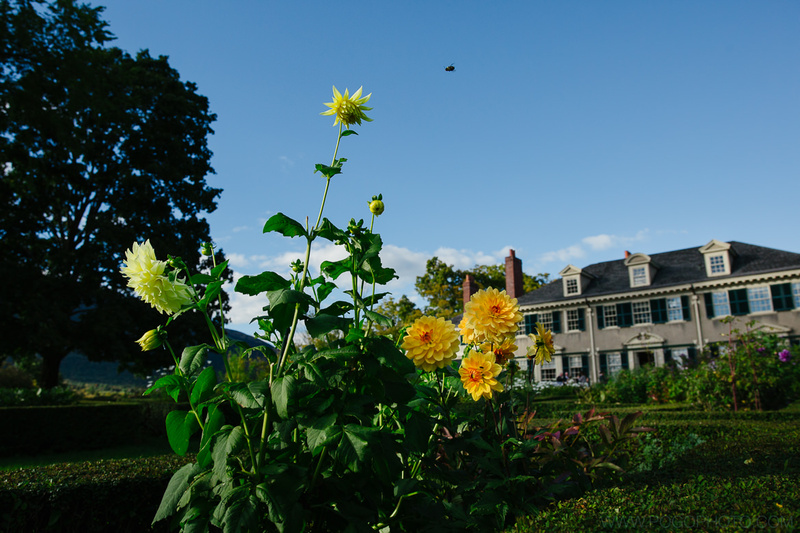 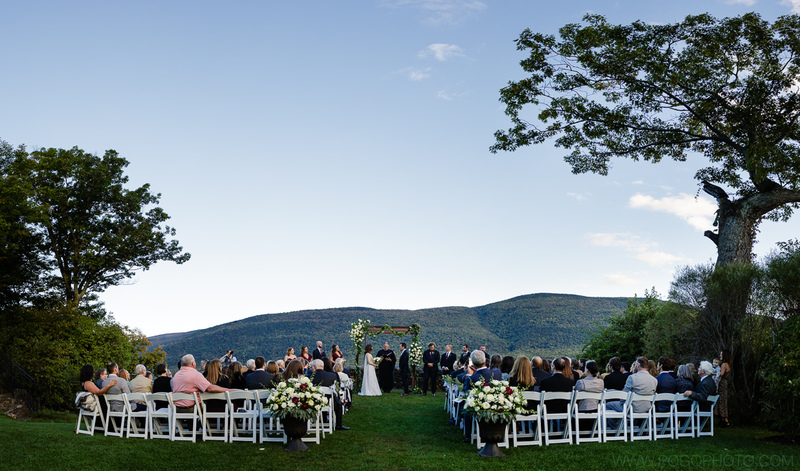 As a historic landmark that is open to the public during the day, Hildene can only transition into a wedding venue in the late afternoon. 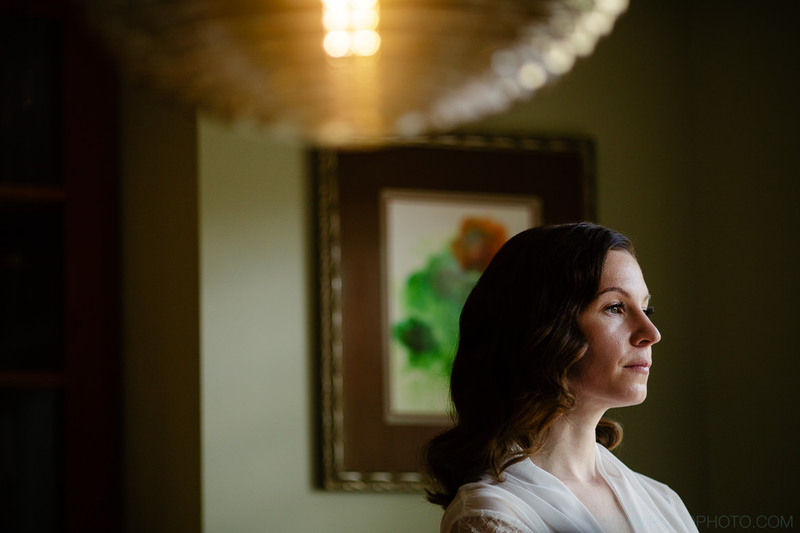 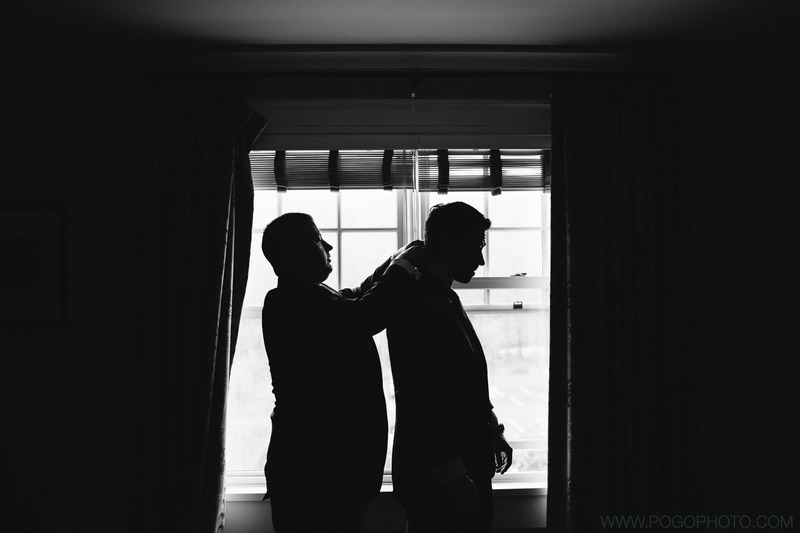 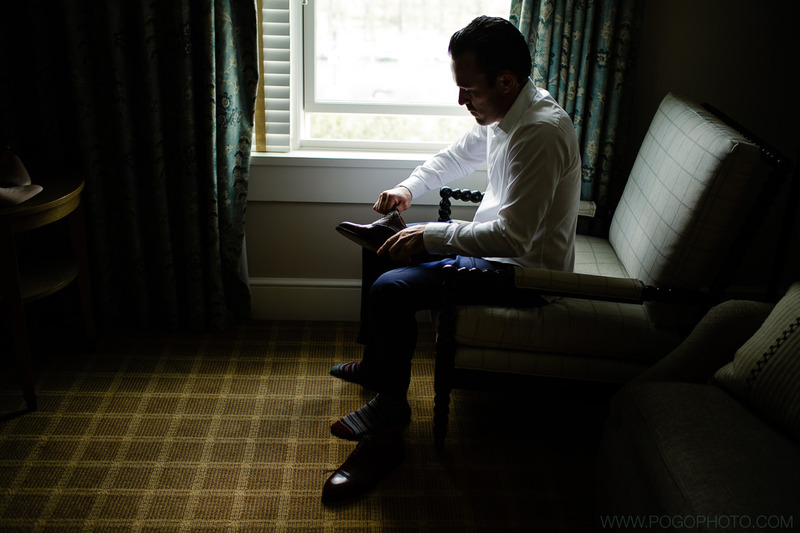 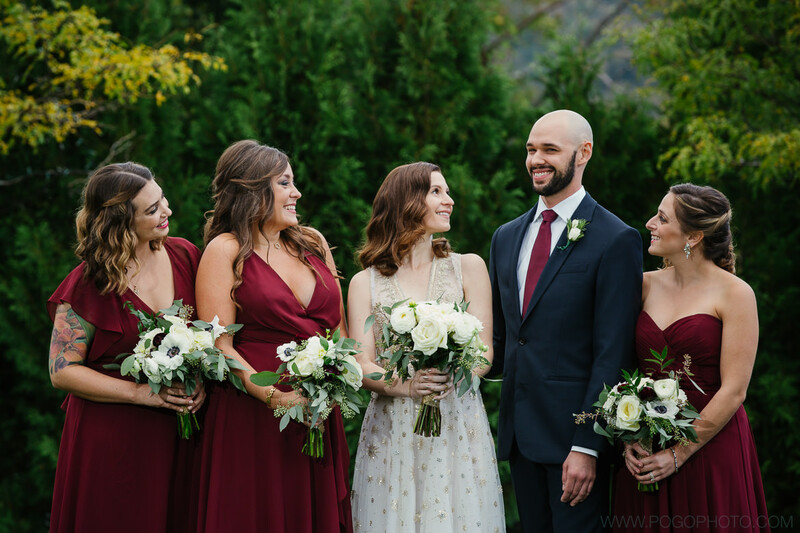 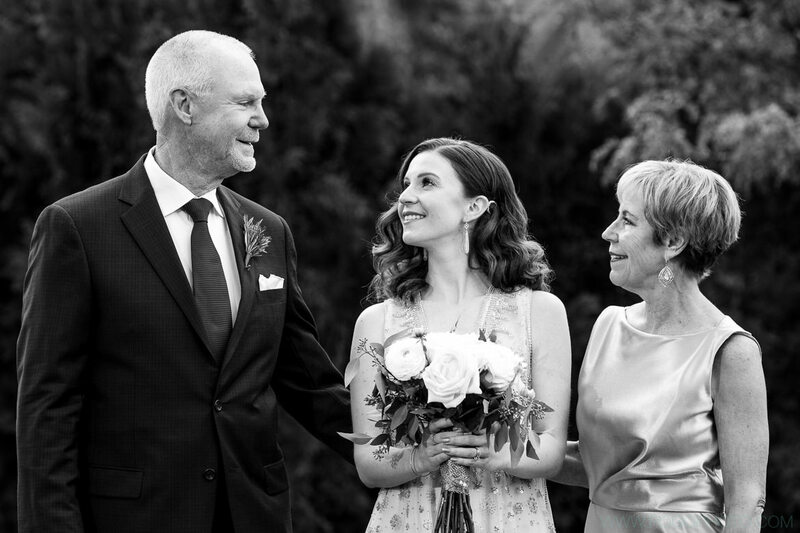 To streamline their timeline, Megan + Erik chose to have their first look at the nearby Kimpton Taconic Hotel in downtown Manchester, immediately followed by all of their formal family portraits. 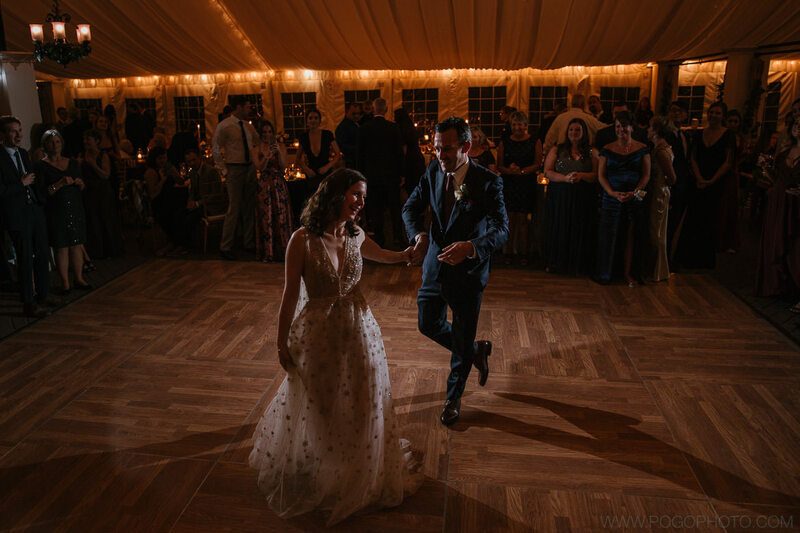 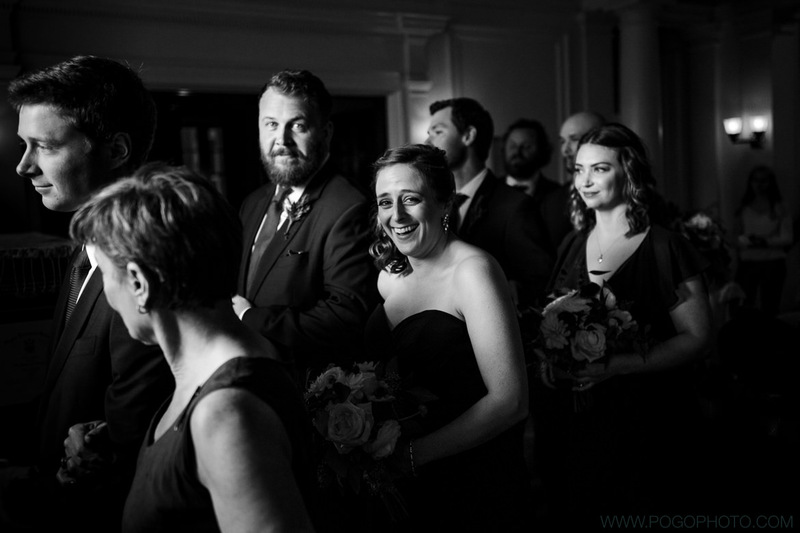 This not only allowed for the couple, their families, and their guests to be a part of their entire wedding day (including cocktail hour), but it allowed us as photographers to cover the bulk of the celebration in a primarily documentary style, which we love! 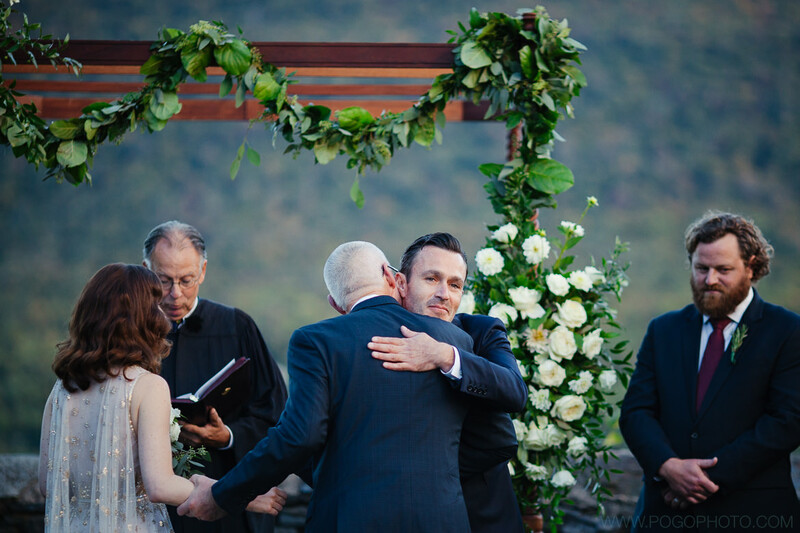 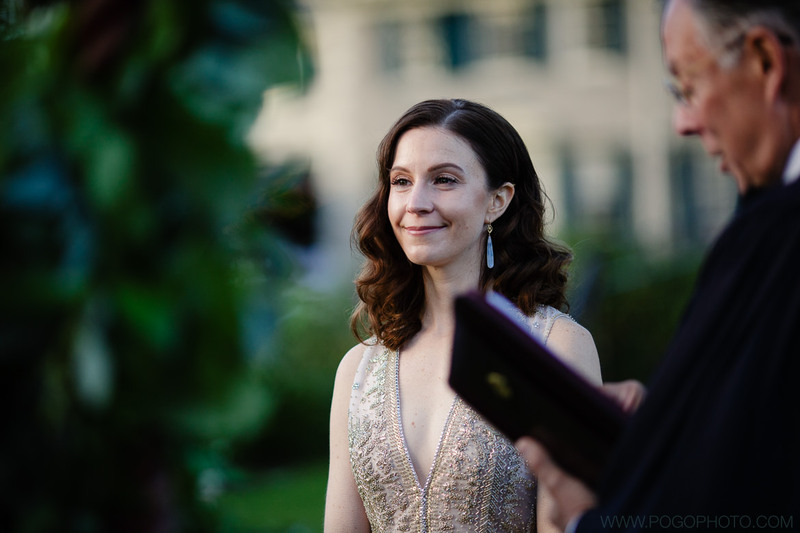 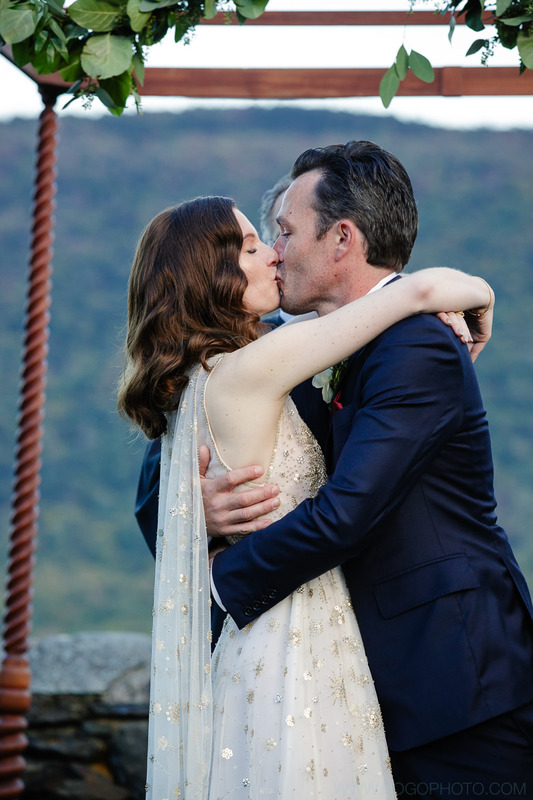 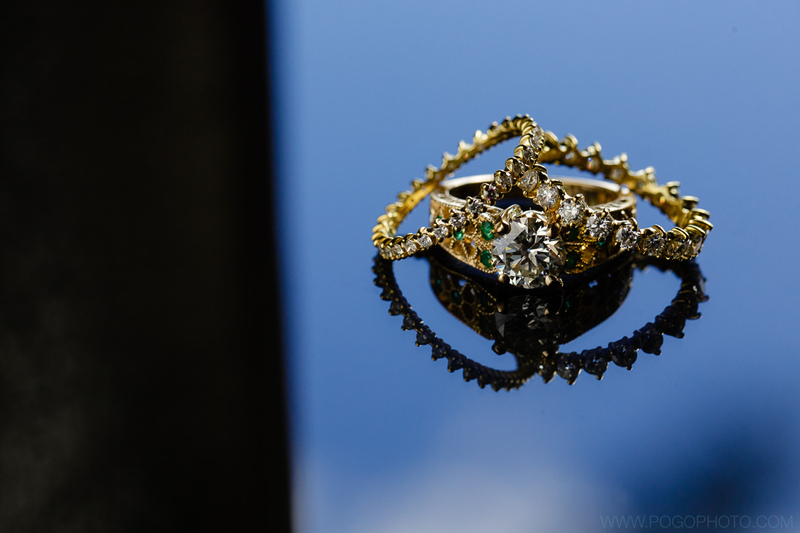 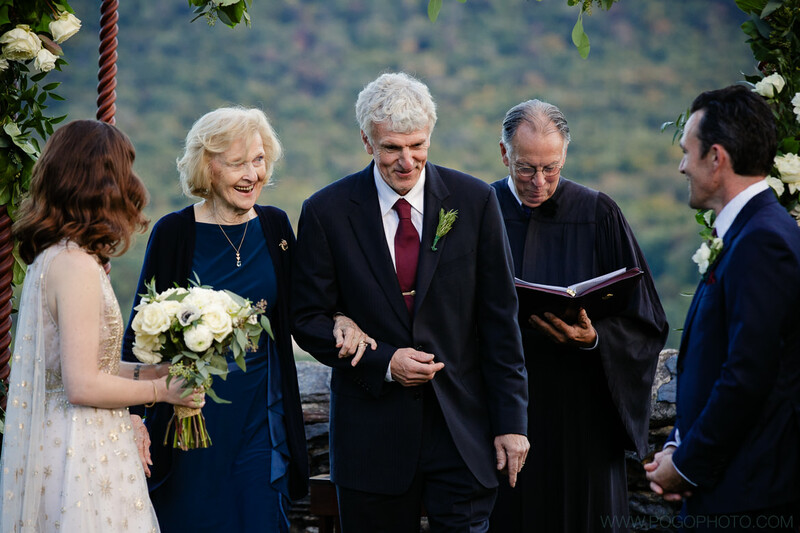 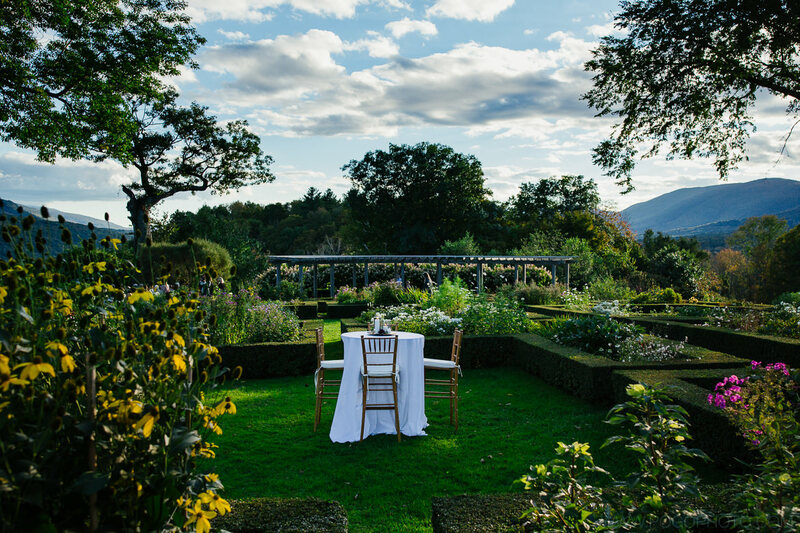 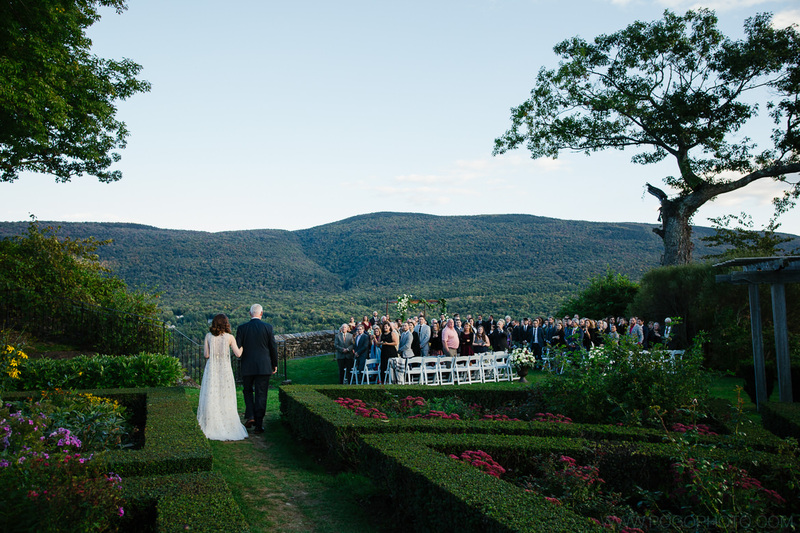 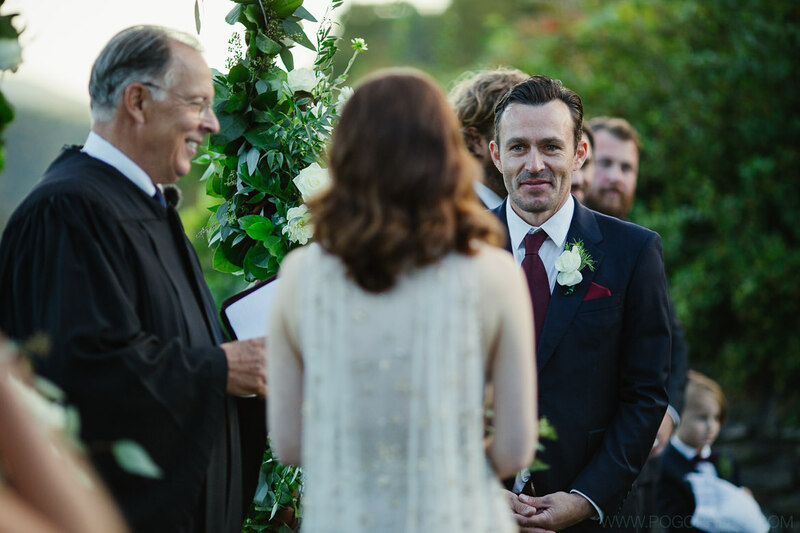 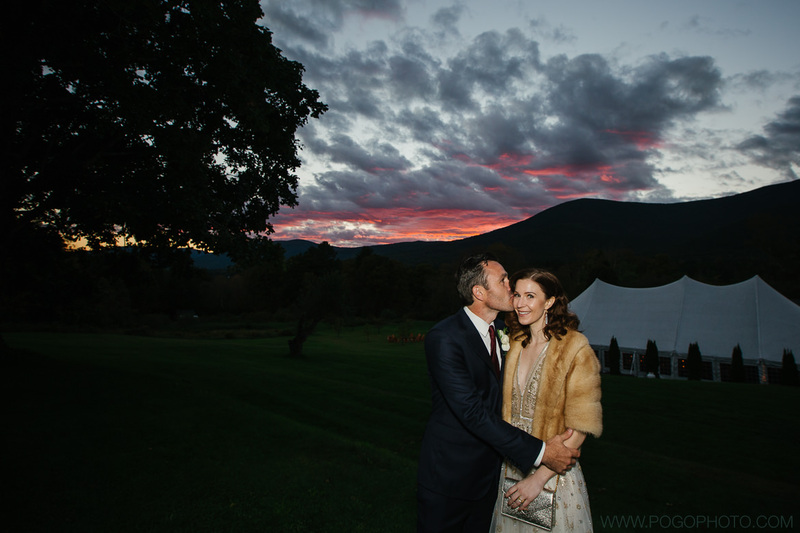 The couple exchanged rings and vows at Hildene’s beautiful cliffside ceremony site, overlooking the nearby mountains. 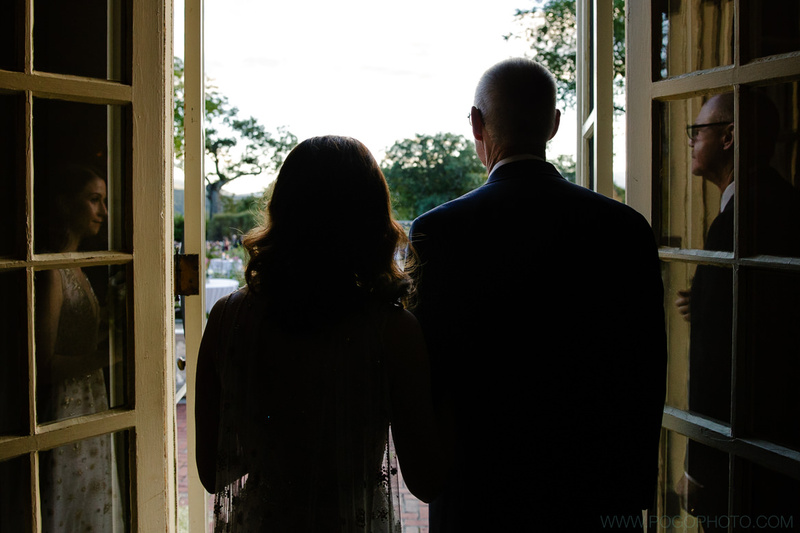 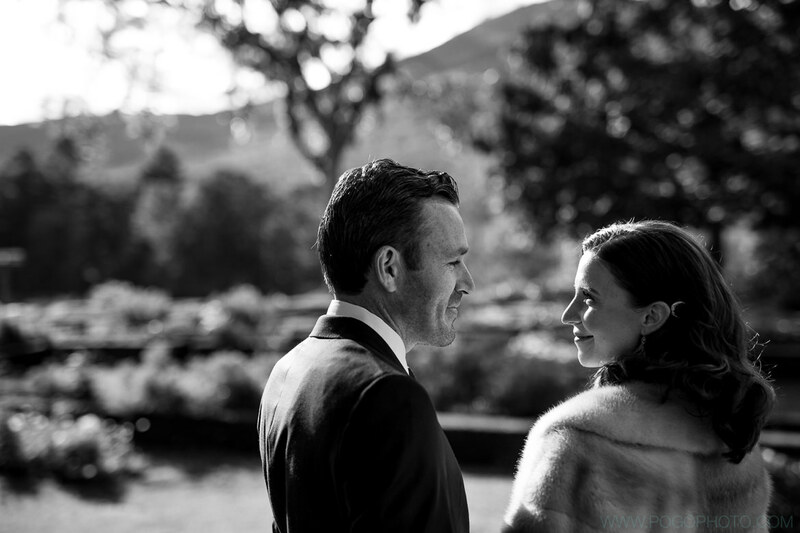 Guests strolled through the famous gardens for cocktail hour and enjoyed personalized details there, which ranged from speciality crafted cocktails to antique furniture arrangements, grouped to enhance an “Old Hollywood” aesthetic throughout the evening. 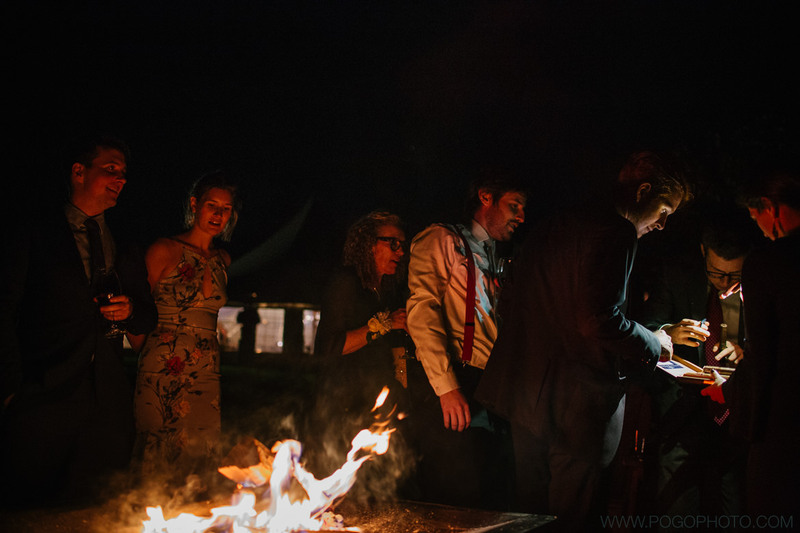 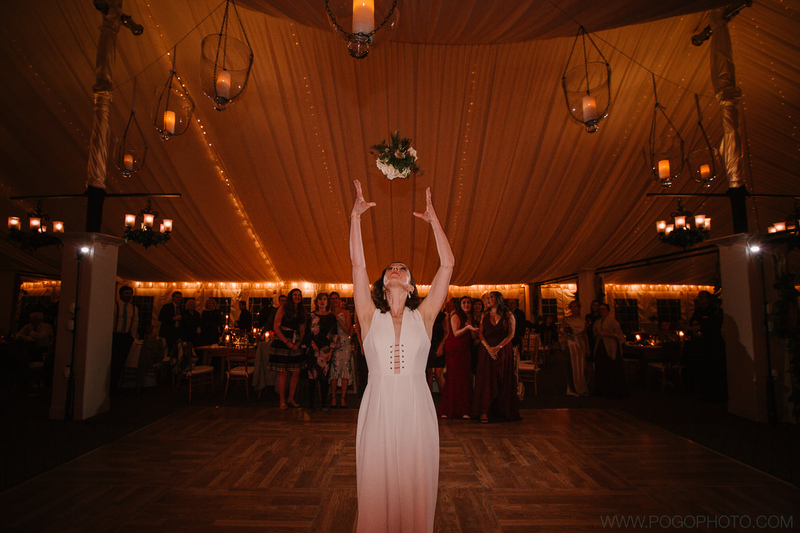 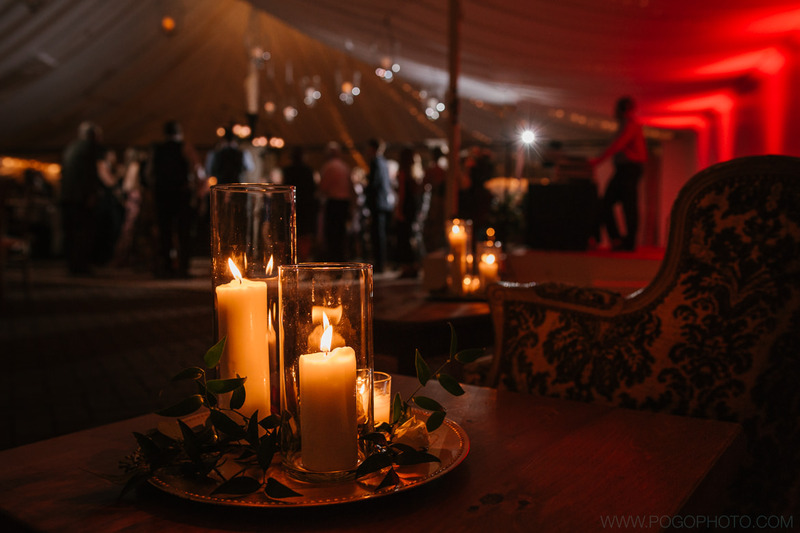 As the sun disappeared over the ridge, candles were lit along a winding path, lighting the way for guests to move into the massive tent for dinner and dancing. 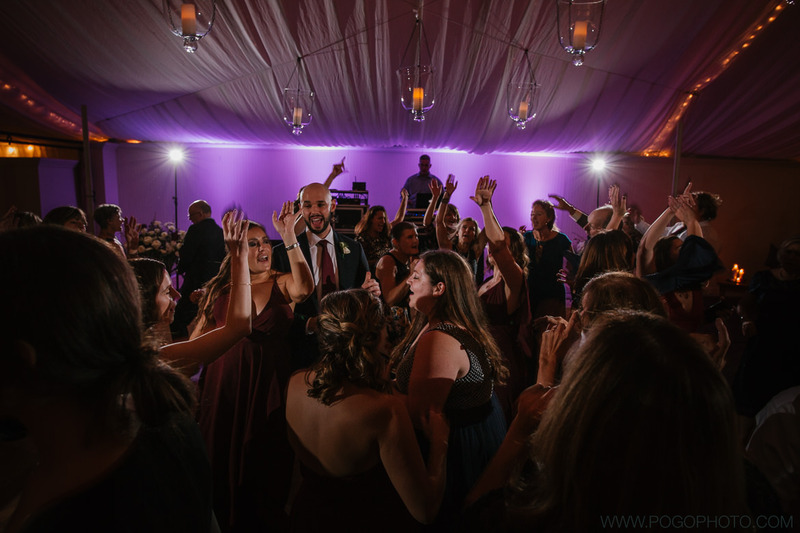 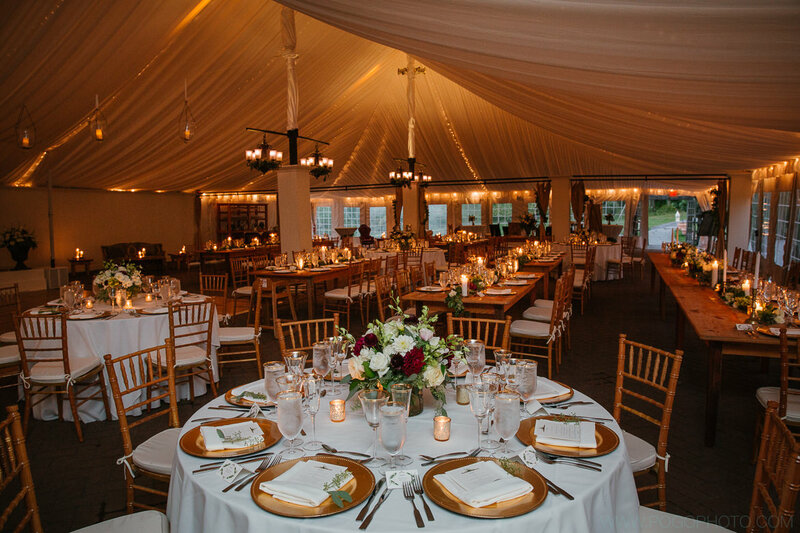 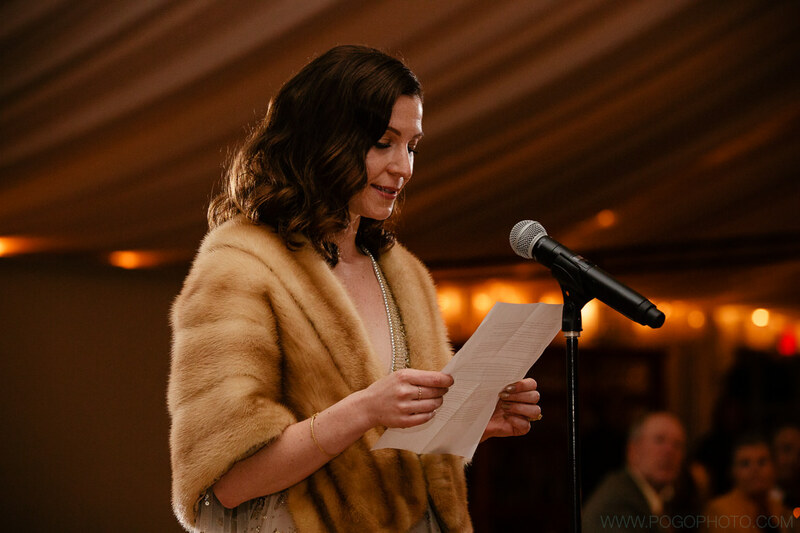 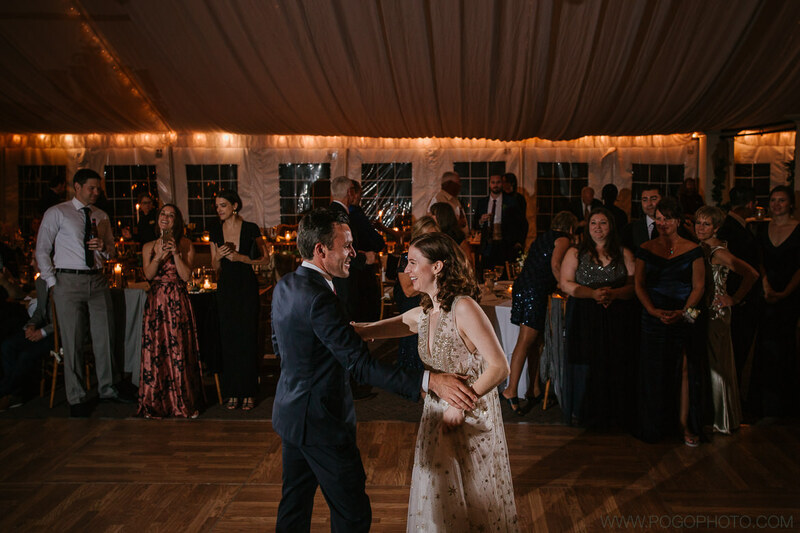 While impressive on its own, Hildene’s wedding tent ambiance was elevated with custom draping, lighting, furniture, and decor. 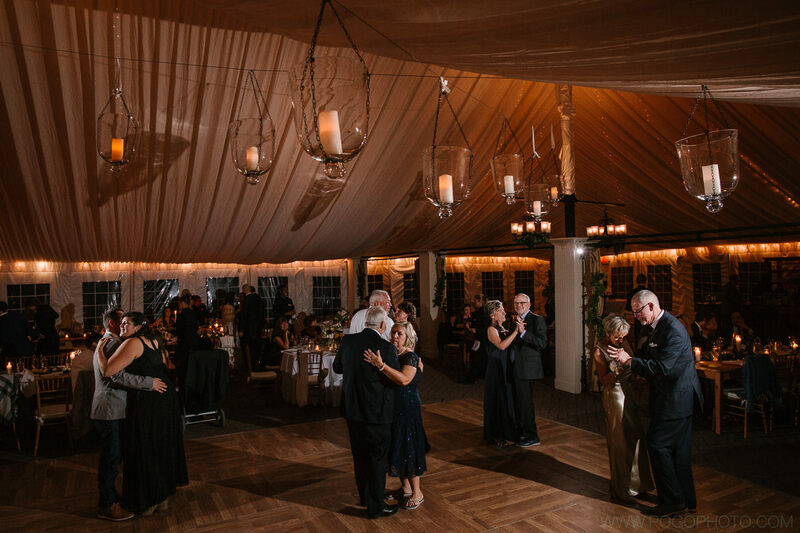 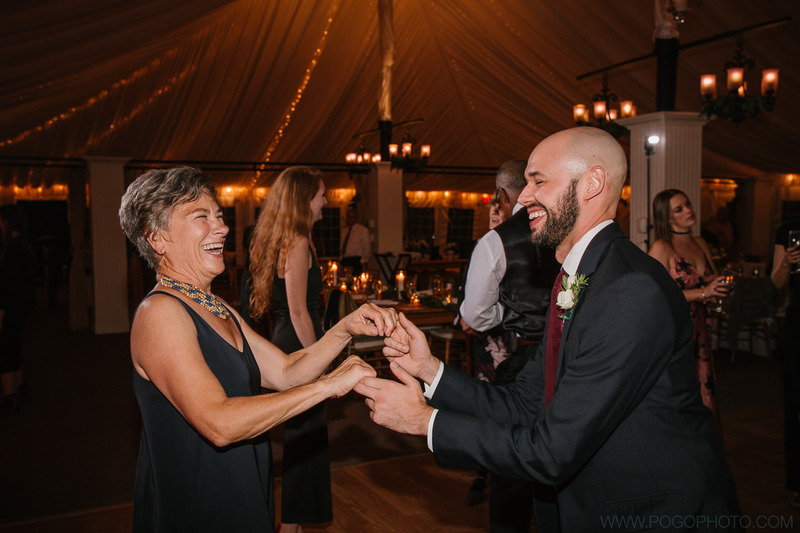 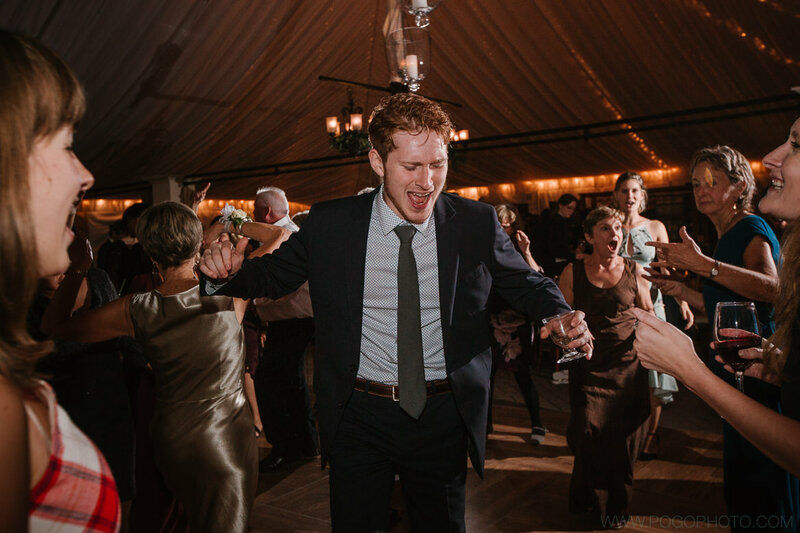 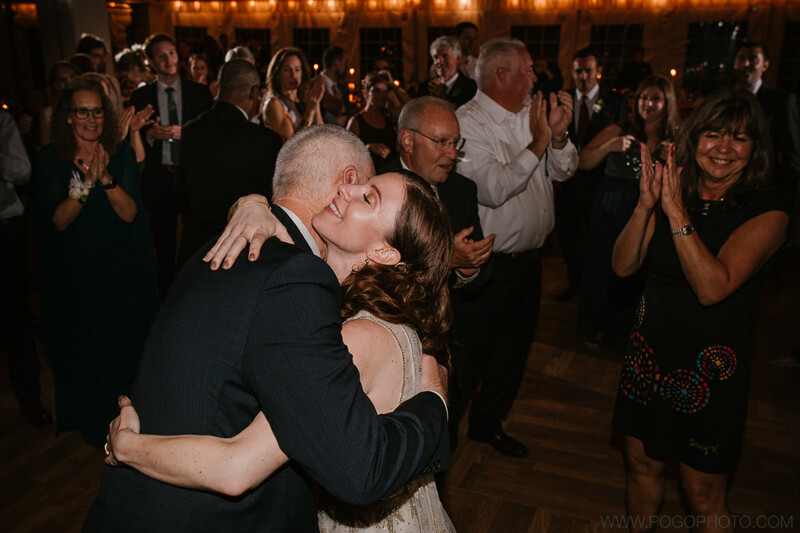 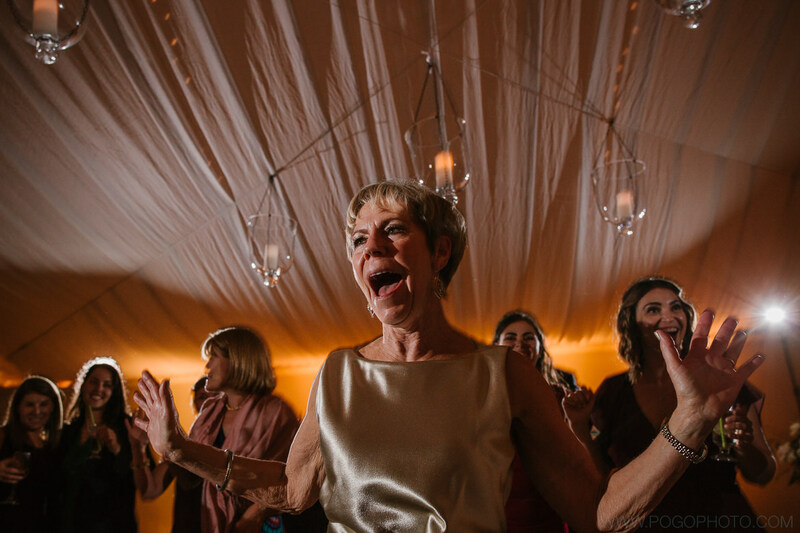 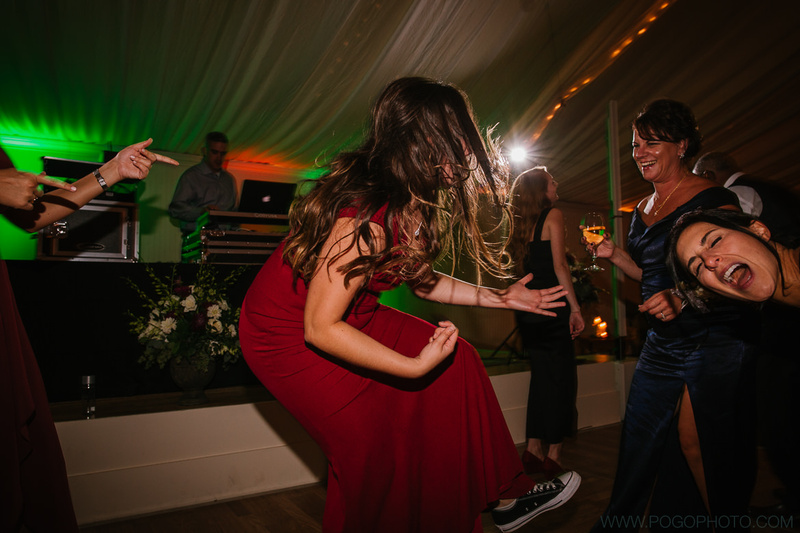 All of this provided the perfect backdrop for amazing food, heartfelt speeches, emotional moments, and a packed dance floor with people of all generations laughing, singing, and dancing well into the night!